The Nursing profession has long emphasized its commitment to social justice and health equity. Nurses are known for advocating policies and regulations that are inclusive and lead to positive patient outcomes. However, an essential component of promoting health equity is acknowledging individual unconscious biases and understanding how they may impact the care that's provided. Social Psychologists theorize that the content of our unconscious biases are learned from the society in which we live. From a very early age, all of us are repetitively exposed to certain ideas from our family, friends, neighbors, teachers; and, from the constant input of various forms of media. Over time, these ideas become embedded in our belief system and are activated automatically and unconsciously. 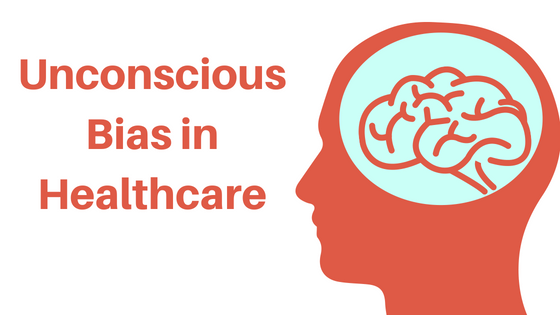 In the context of health care, unconscious bias can lead to health disparities such as the under treatment of conditions like pain, cardiovascular disease, asthma and mental health in racial and ethnic minorities. One of the things that accounts for health disparities is unconscious bias in health care providers. Not only does unconscious bias contribute to under-treatment, but studies have shown that providers with more implicit biases are more likely to have negative interactions with patients. This impacts trust and the likelihood that patients will seek health care. There are ways we can prevent this. Everything from language barriers to job status to regional inflections can cause people to assume a patient has certain traits, behaviors, or beliefs that you might not agree with. Notice that feeling when you are trying to explain treatments to a patient, when responding to their needs, or when dealing with an extended and involved family. The National CLAS Standards are a set of 15 action steps intended to advance health equity, improve quality, and help eliminate health care disparities by providing a blueprint for individuals and health care organizations to implement culturally and linguistically appropriate services. It’s okay to feel outside your comfort zone or to be unsure of what to feel, do or say. In a world in which people mostly back away from discomfort and awkwardness, that could be the source of the greatest learning. Rather than making changes from the top of the business and hoping it trickles down into every area, unconscious bias training provides each individual employee with an understanding of the impact they can have by changing their way of thinking. Unconscious bias training is geared around three things: awareness, impact and action. We can build awareness about why biases exist (and individual ones we hold), demonstrate the impact they can have on our decisions, actions and working patterns, and finally, agree how we can take action to ensure they are not expressed in a way that could negatively impact the work environment. Although many healthcare providers don't see themselves as being biased, it's a common and persistent problem. If left unrecognized and unmanaged, unconscious bias can lead to health disparities, resulting in potentially negative consequences for patients. The strategies above can be used by Nurses and other healthcare professionals to overcome unconscious bias and provide optimal patient care.